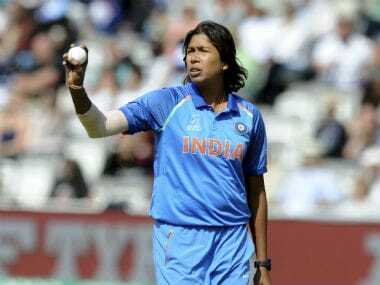 India fast bowler Jhulan Goswami, who was felicitated with a special award by the Cricket Association of Bengal (CAB) on Tuesday following India's exploits in the ICC Women's World Cup, said at one point during the tournament she wanted to be dropped from the starting XI owing to her poor show. Kolkata: India fast bowler Jhulan Goswami, who was felicitated with a special award by the Cricket Association of Bengal (CAB) on Tuesday following India's exploits in the ICC Women's World Cup, said at one point during the tournament she wanted to be dropped from the starting XI owing to her poor show. Goswami, who took 10 wickets in nine matches including a 3/23 in the final of the World Cup against hosts England, which India narrowly lost by nine runs, was awarded a cash prize of Rs 10 lakh and a plaque by West Bengal Chief Minister Mamata Banerjee. "I think I was preparing in such a way... earlier stages of the World Cup, I was not bowling well and I was very disappointed," Goswami said after receiving the award. The 34-year-old Bengal pacer, who has earlier also skippered India, revealed that she felt she could not get her rhythm right after she returned wicketless in India's second pool game against the West Indies and their first encounter with England. "I talked to my coach (Tushar Arothe) that I am not bowling well, so you can drop me in the next match. I told him this after the West Indies match. He said, 'No, I want you to be there and lead the bowling unit'," Jhulan said to the loud cheers and applause from the gathering. 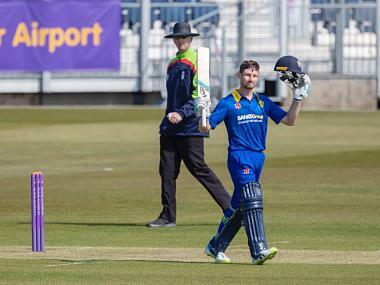 It was from there on that she started picking up wickets and was seen in full tilt in the latter stages of the tournament, bowling a gem of a delivery in the second semi-final to get rid of Australia's star batsman Meg Lanning for a duck. Asked about that delivery many dubbed as "the ball of the tournament" where Goswami angled in a back of a length ball which straightened away late to square up Lanning, hitting the top of off stump, she said: "In the the Australia match it was important as they are the best team in the world. 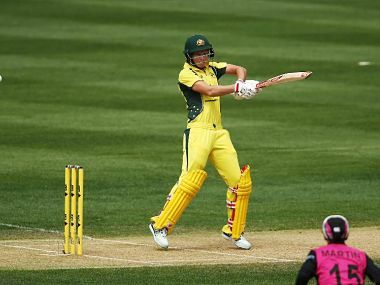 "Meg Lanning is among the best players in the world and she is very strong square of the wicket. 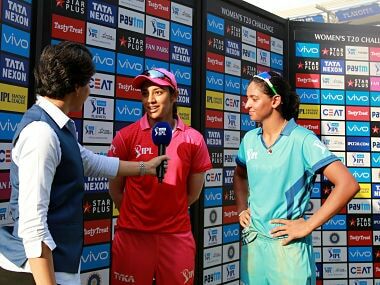 "Two days before the match I told Mithali (Raj, skipper) to bat in a way that I can bowl square of the wicket and then she will give me the feedback. That's how I prepared. Luckily everything went in our way." Talking about the support for women's cricket in the state and from the CAB in the last ten years, Goswami said she was initially wary of coming from Mumbai to Kolkata as she feared lack of match practice would affect her. "When I came to Bengal from Air India in Bombay in 2005-06, I was not sure about the opportunities I would get here. In Bombay I used to get match practice with the boys courtesy Air India. I got the chance to bowl to Sameer Dighe and Pravin Tambe at the nets there, so I was skeptical initially." "When BCCI and the Women's Cricket Association of India (WCAI) merged, the first question that came to my mind was that if I go to Kolkata, will I get practice facilities in CAB? But in the last ten years, CAB has supported women's cricket a lot. I hope in future, there will be more such opportunities." "Jhulan and the rest of the women's cricket team shook the world with their performance and it is wonderful," Mamata later said in her address. "A victory or a narrow defeat always rankles. But what they have achieved is bigger than the victory. They won people's hearts," she added.